It doesn’t take long for the refrigerator to become a clutter hot spot. 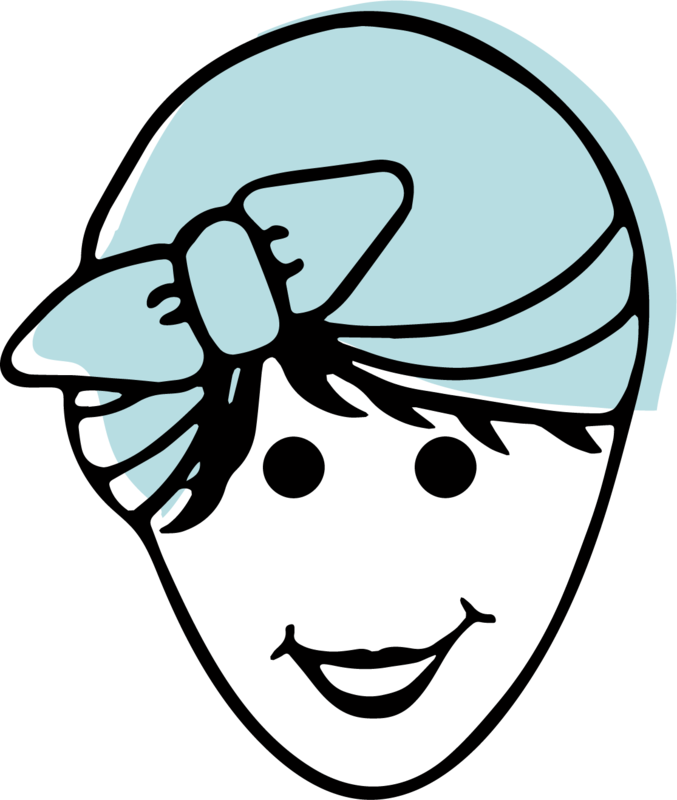 Random papers, notes, photographs, artwork, receipts and other paper clutter seem to migrate and reproduce at a faster rate than humanly possible. 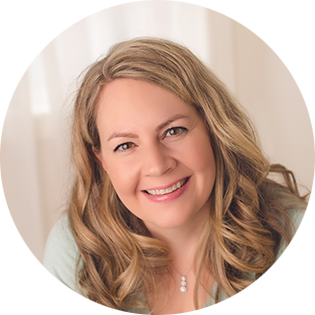 Rather than using your fridge as a vertical storage option, let’s look at some quick and easy decluttering tips as well as organizing tools to help clear off your fridge and keep it clean and minimal. Begin by taking everything off of the fridge – front and sides. 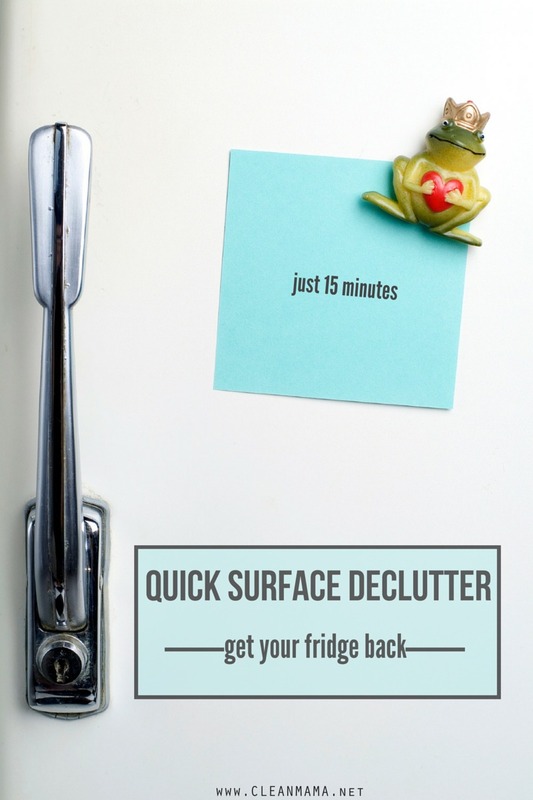 This includes magnets, stickers, reminders and anything that is on the surface. Designate one pile for recycling, one pile for filing and one pile for what you want to put back on the fridge. The “keepers” should be papers or things that you refer to on a regular basis and photographs that are current and/or ones you want to keep on display. 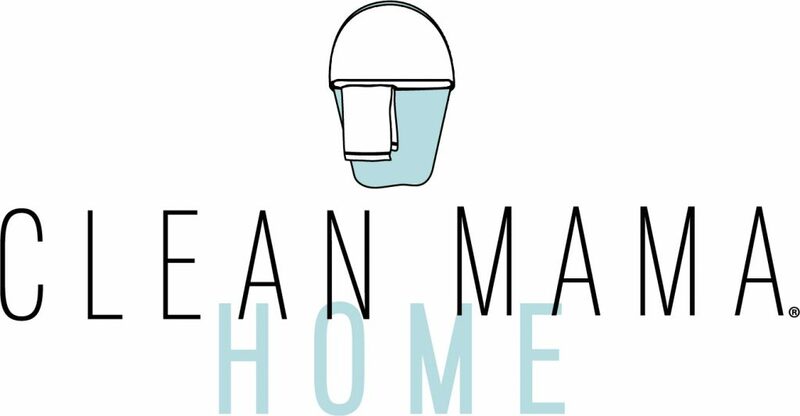 Once you have cleared your fridge of everything, use your favorite all-purpose cleaner or stainless steel cleaner and thoroughly wipe down the entire front and sides. Now that it’s clean, it’s time to decide how to organize and display without creating a lot of visual clutter. 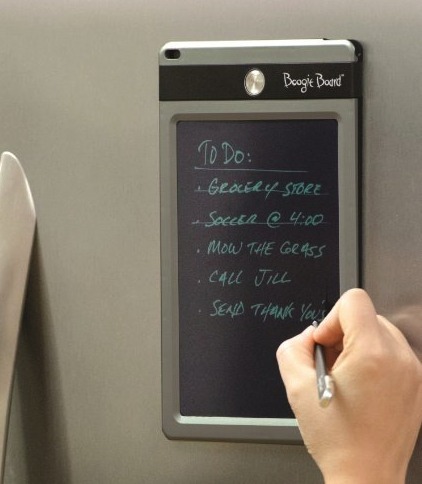 A fun idea for writing notes on the refrigerator is to use a Boogie Board – they come with a ‘pen’ and magnet on the back so they can just be popped right onto the ‘fridge’. 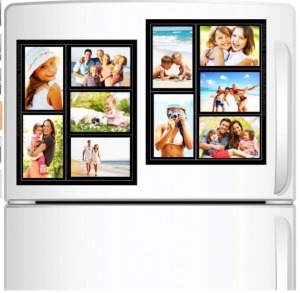 Rather than using magnets or tape to display photos, consider using clear plastic magnetic photo frames. This keeps them uniform as well as protecting the photo itself. These are available at office supply stores or photo stores. There are options on Amazon as well in various sizes and layouts. You can use larger 8” x 10” frames for important papers that are referred to regularly, like school calenders, lunch menus, schedules and contact lists. These are also great for displaying special artwork or drawings that you can easily rotate. Another easy way to contain and keep important papers at your fingertips is to hole punch papers on the top left corner and hang them together on a magnetic hook or suction cup. This keeps them all in one spot and is a great method for papers that you may need for the month but not for the entire year. Encourage your little artists to choose one or two special pieces of artwork at a time and rotate frequently for an ever-changing art show. Displaying them in a special frame can add a bit of extra pride in their creations as well. 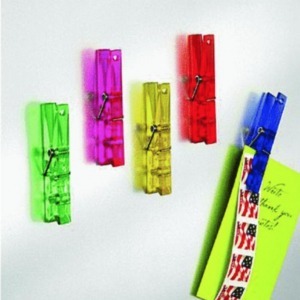 I love these acrylic clothespins with magnets attached for rotating artwork and other papers. Another option for stainless steel refrigerators is the Choopaboard – it’s a magnet for stainless steel refrigerators and a pretty cool option if your kids love displaying items on the ‘fridge or using magnets. 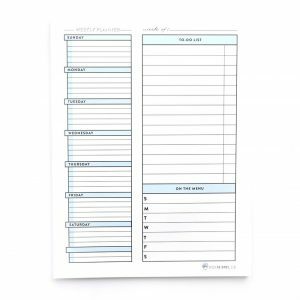 Notepads with a magnet attached to the back are also a great option for keeping lists and notes on the refrigerator. Here’s one of my favorites. With minimal cleaning and a little thought, you can ease the visual clutter on your fridge and keep important papers, calendars and schedules at your fingertips. What are your MUSTS on your refrigerator? I have a Boogie Board on my fridge, too. Hubby got it for me before Christmas. I love it! 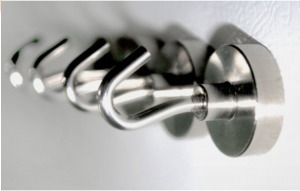 I use the magnet hooks on the side of my fridge. I put recipes, and info I need to keep in page protectors. Makes it easy to hang. A plus is you can’t drop anything down between the cabinet and fridge.the cabinet. Thanks for posting the amazon link for the magnetic hooks. Great tips all around.